Padded crown and nose. Swivel snap at throat. Quality lay flat hardware. . .
Leather crown for turnout safety. Poly webbing. Good hardware. . .
Leather halter replacement crown fits nylon breakaway adjustable chin and throat snap halter. . . . .
Crafted for the ultimate comfort performance and beauty. 1 inch double ply nylon web with box stitching at stress points. Adjustable crown and curb with heat sealed oblong buckle holes. Brass plated hardware. .
Crafted for the ultimate comfort performance and beauty. Adjustable crown and curb with heat sealed oblong buckle holes. Brass plated hardware. 1 inch double ply nylon web with box stitching at stress points. .
• Snaps Can Be Replaced Instead Of Purchasing A New Cross Tie. • They Calm and Diffuse Situations. • If A Horse Continues To Pull Back, You Can Easily Disconnect The Tie With A Panic Snap. • Panic Snaps Should Be At Ring On The Wall For Safety. • 25 Lunge Line With Rubber Stop and Solid Brass Snap. • A Long Rope, Somewhat Like A Lead Rope, That Attaches To The Horse S Halter and Can Be Used To Lunge The Horse. • Sometimes Called A Lunge Rein. • Made Of A Supple, Pre-Conditioned Leather. 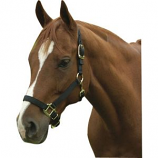 • This Is The Classic Adjustable Leather Halter. • It Is Crafted In A 1 Inch Triple Stitched Leather On The Cheeks, Nose and Chin and Has A Double Buckle Crown. 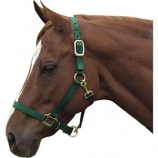 • This Is The Classic Adjustable Halter. • Leather Stable Halter With Snap. • Beautifully Crafted From A Supple, Pre-Conditioned, 5/8 Inch Leather. • It Has A Single Buckle Crown, Adjustable Chin, Has A Snap On One Side All Hardware Is Solid Brass. • All Hardware Is Solid Brass. • Beautifully Crafted From Supple, Pre-Conditioned 5/8 Leather. 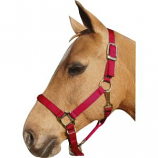 • It Has A Single Buckle Crown, Adjustable Chin and Is Great For Every Day Turnaround. • All Of The Hardware Is Solid Brass. • Beautifully Crafted From Supple, Preconditioned Leather. 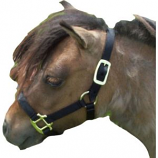 • This Chinstrap Is Adjustable, It Is A 3/4 Leather and All The Hardware Is Brass. • Soft Braided Cotton With A Jumbo Solid Brass Trigger Snap.